Mosquitoes are well known because of their pesky biting habit. Of greater concern, is the fact that they are vectors of numerous human diseases such as malaria, yellow fever and encephalitis. In our area, the West Nile Virus is of more concern. This virus is commonly spread by the bite of a mosquito that has fed on an infected bird. Mosquitoes cannot transmit the virus from one person to another. Mosquitoes have adapted to almost every kind of aquatic situation such as permanent ponds and marshes, drainage ditches, and water standing in containers. Gillen Pest Control can help your enjoy your outdoor living space this summer without the “pesky” mosquito. We can work with you on setting up a Mosquito Trap in your yard and a monthly program to help control the mosquito population allowing you to enjoy the summer evenings. 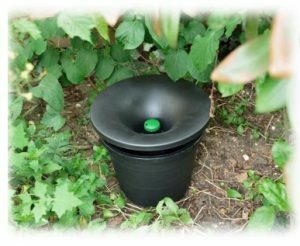 See more on our Mosquito Trap. 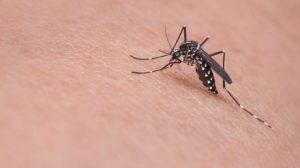 According to the Texas A&M AgriLife Extension Service, there have been 85 species of mosquitoes identified in the state of Texas. The distribution of each mosquito species has been mapped and is published here. This distribution is based on literature and mosquito trapping conducted by the Agricultural and Environmental Safety Unit personnel. Our area is at a much greater risk for mosquito-borne illnesses than most other areas in the United States. With over 50 species that call Fort Bend County and the surrounding area home, it’s important for you to understand which mosquitoes to be on the lookout for. This list covers the most common species that pose the biggest threat to your home and health. This mosquito is the primary carrier of Zika virus. Only the females bite, though, because they need to feed on the protein in our blood before they can lay their eggs. Because this species only needs a small bit of moisture to thrive, it’s important to keep your yard free of obvious standing water and remove objects that could accumulate moisture. This species is one of the most irritating and potentially harmful types of mosquitoes you’ll encounter. Most mosquitoes are only active from dusk till dawn, but Asian Tiger mosquitoes actually prefer the heat of the day. Because they are common carriers of diseases like West Nile virus, dengue and yellow fever, it is important to minimize the chances of being bitten by one of these pests. They thrive in standing water, and their young are particularly resilient. To prevent an infestation around your home, keep your yard clean and eliminate any standing water. This tiny breed of mosquito is also primarily active in the daylight hours. While they do pose a threat to humans, your pets are also at risk around them. 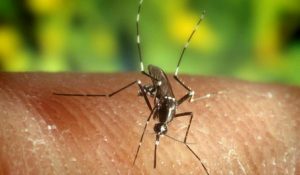 Aedes albopictus can carry eastern equine encephalitis as well as heartworms, both of which are extremely dangerous for your pets. These mosquitoes live primarily in densely populated areas. They particularly love to feed on sugar sources, which means it is important to keep garbage secure and your yard clean. Females also feed on the blood of humans and birds in order to develop their eggs. This puts humans at risk for diseases like meningitis, encephalitis and any diseases birds might be carrying such as the West Nile Virus. This pest is a well-known carrier of malaria and potential transmitters of canine heartworms. 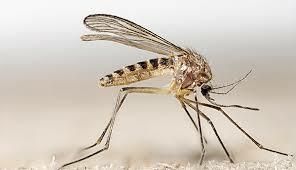 This mosquito is most active at dusk and just before sunrise, but they are somewhat active throughout the night. The best way to keep your pets and family safe is through prevention. We can work with you on setting up a treatment plan.